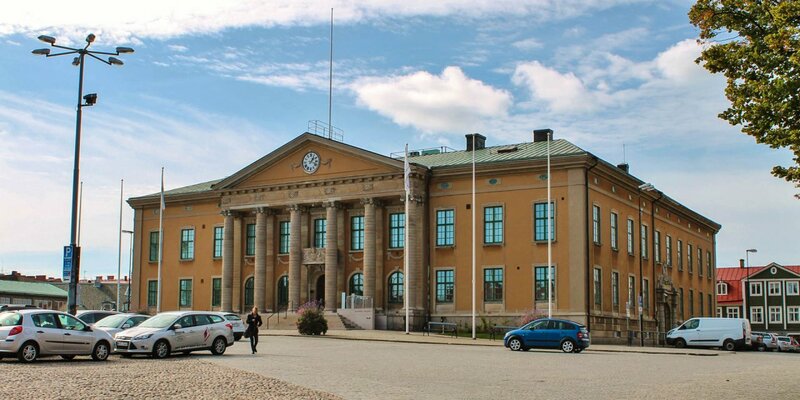 The Fisktorget at the waterfront was used as fish and vegetable market in Karlskrona. 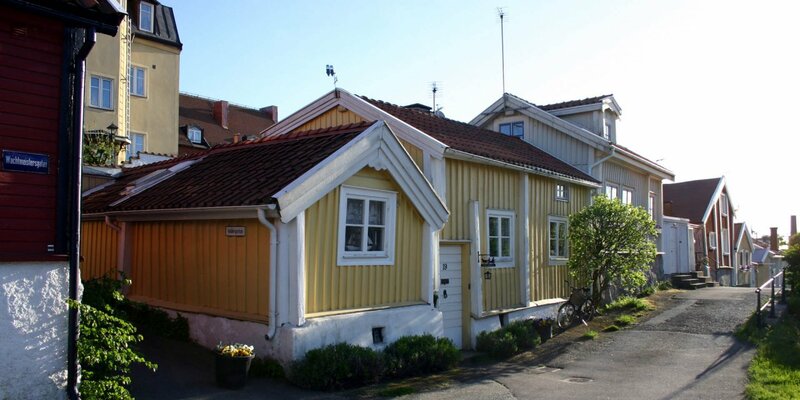 The square, within sight of the old Wachtmeister-Palace Grevagården and the Blekinge Museum, is a hub for numerous boat trips to the islands in the archipelago of Karlskrona today. Fisktorget has been used for over 300 years as a marketplace. Initially, it was the count's family Wachtmeister who sold agricultural products at the pier of her palace. Over time it developed into a thriving market where fish and all sorts of other goods were traded. In the first half of the 20th century there were even a market hall on the Fisktorget. 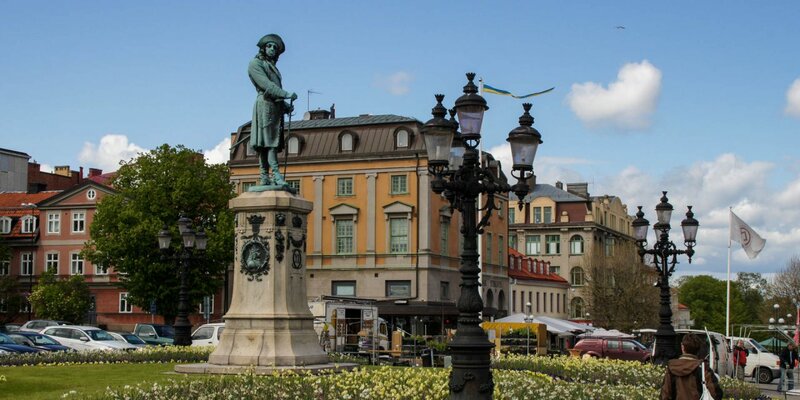 In the middle of the square stands the life-size bronze sculpture Fiskargumman (fishwife), created by Erik Höglund,. With her gesture she seems to call out the rushing pedestrians to buy someone fish. 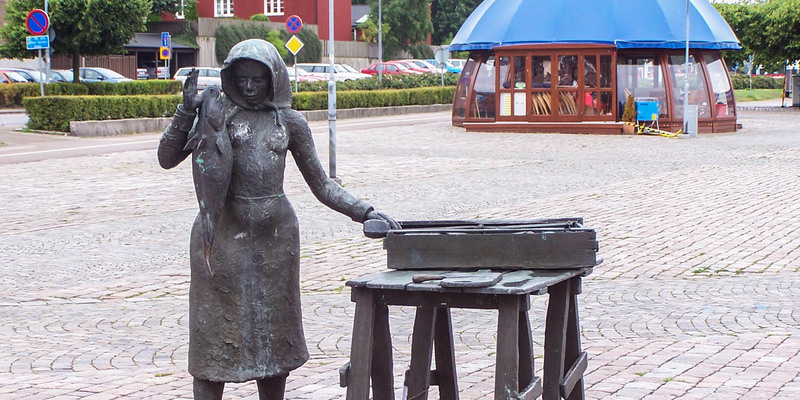 The statue commemorates the many generations of fishermen's wives, which rowed from the islands to the market to bring the daily catch to the people in the city.